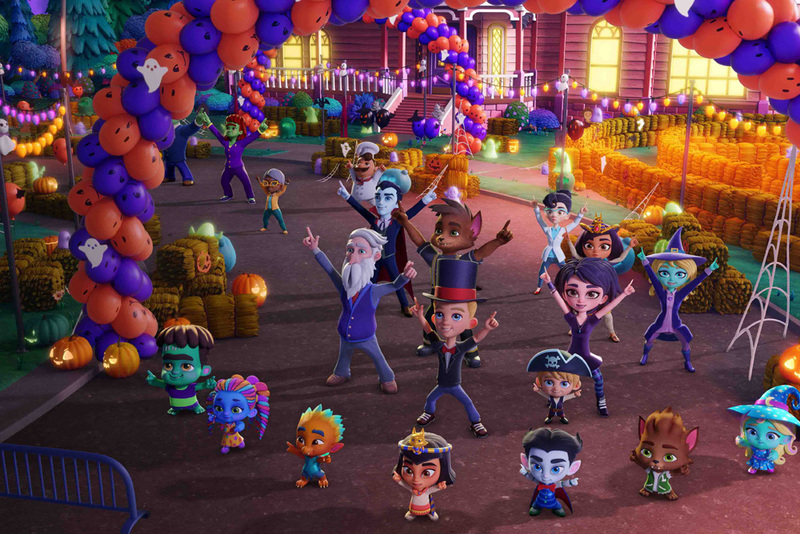 We caught up with Dominique Bazay, Director of Kids & Family Content at Netflix, just in time for Halloween to hear all about the streaming platform’s sweet ‘n’ spooky new CG preschool series Super Monsters. 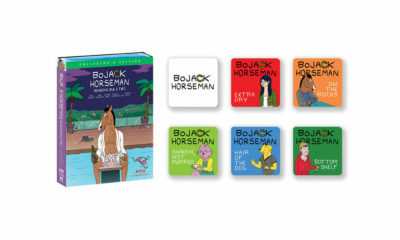 What was the original idea behind the series? The series was originally created by Avi Arad and 41 Entertainment as a boys’ action show for ages 6-11, but we saw a white space for kid-safe monsters. 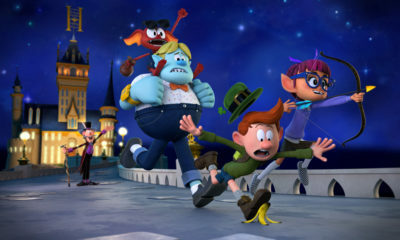 We felt like we could create something special if we focused on preschooler monsters with super powers, and we’re so delighted with how the show has turned out.that we’re creating a full-blown preschool franchise, complete with two full seasons of episodes, holiday specials, music videos, and a first-of-its-kind line of toys and costumes. What was the development process like? Once we settled on the concept of Monsters for preschoolers, it was a collaborative effort with 41 Ent’s team to find a soul for the show. We landed on Kindergarten Readiness. 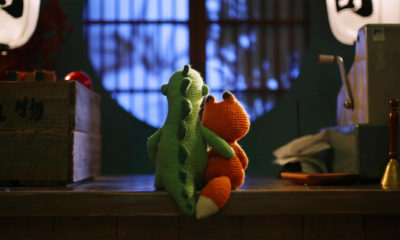 Out little monsters would introduce simple relationship skills, problem solving, and empathy to our young viewers everywhere. Kaaren Brown, our showrunner, was instrumental if weaving this into simple, age appropriate stories. The character design and world came together really easily after that. 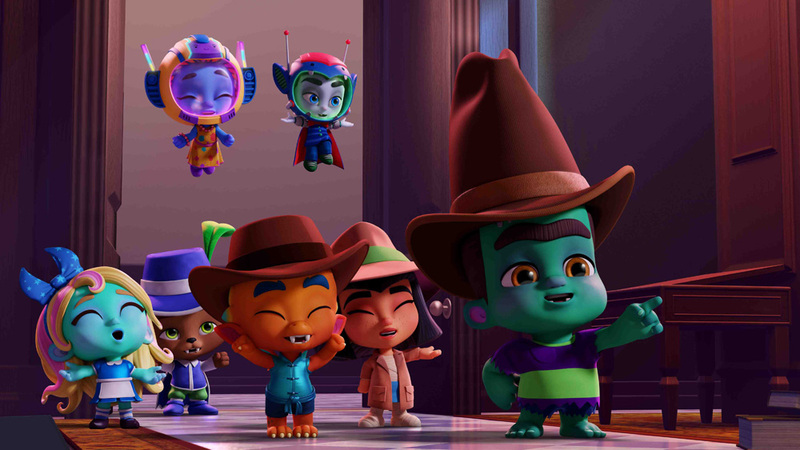 Once we settled on the concept of “monsters for preschoolers,” we asked 41 Entertainment to go back and rethink what the series could look like. From there we did extensive brainstorming on characters, story structures, etc. What do you love about Super Monsters? The palette. This show is set at Dusk… lots of purples and blues and our characters really pop off the screen because of it. I’m so impressed with the look of this show, Icon did an amazing job. It’s also a great opportunity for parents to celebrate Halloween with their young kids in a fun and not-scary way. 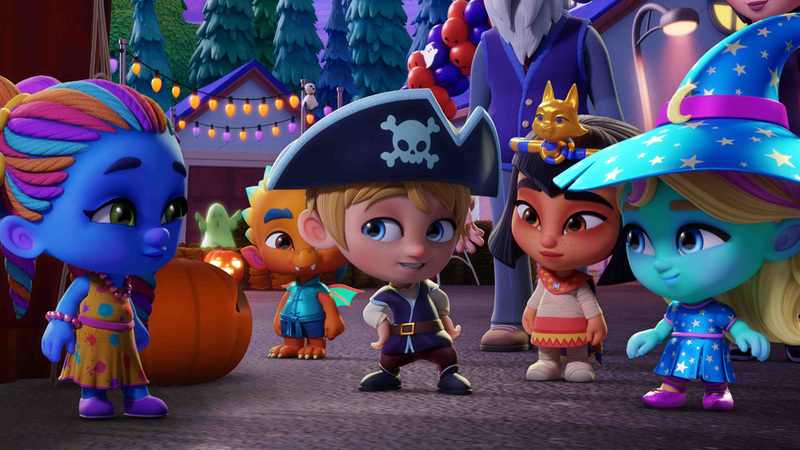 We learned that 68% of preschoolers are actually scared of Halloween … so we think it’s great that kids who watch Super Monsters can ease into the spooky holiday with their favorite characters by their side. There’s a lot that we love about it. 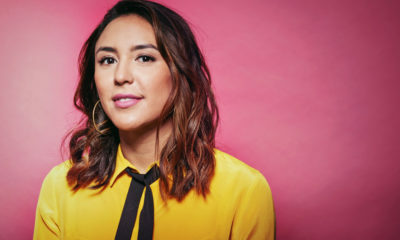 ICON in Vancouver does an amazing job on the animation and Kaaren Brown, our showrunner, has done a great job with her writing team of telling age-appropriate, fun and funny stories about little monsters. What was the biggest challenge in bringing the show together? The biggest challenge is in making sure that we service all of the characters equally. We’ve added a fun new character, Spike the Dragon, in season 2 and at the end of season 2 we will meet another new monster (spoiler alert!). As the cast grows, making sure we tell solid character-driven stories has been one of the things we’re focused on, and the writing team is doing a great job of making sure we have stories for everyone’s favorite monster. 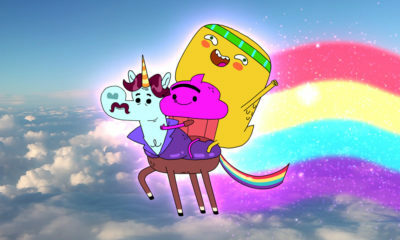 Where is the animation done, and how many people work on the show? 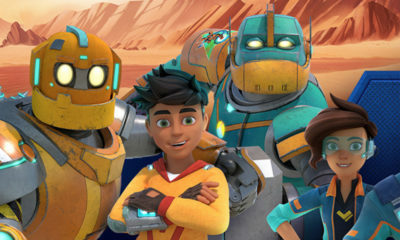 The animation is all done at ICON Creative Studio Inc., located in Vancouver Canada, with roughly 100 CG artists working on the show. 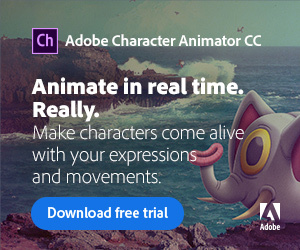 What CG animation tools are used to create it? 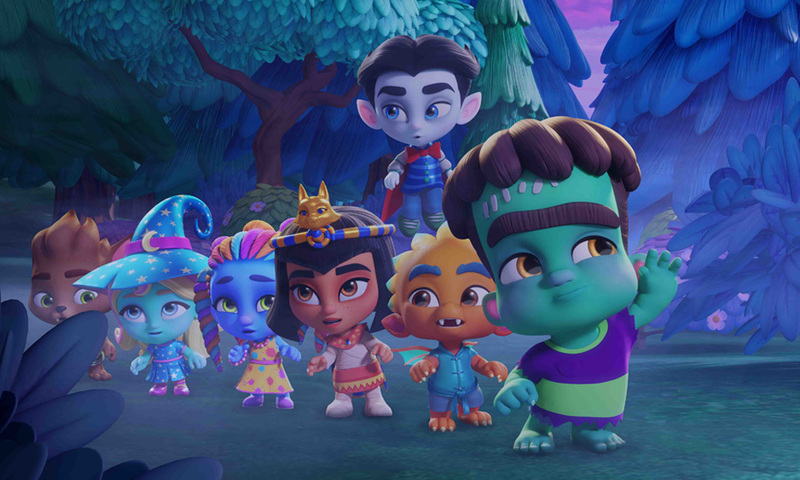 Super Monsters uses ICON’s Accelerated Series Pipeline (2.0), built around Autodesk’s Maya software, which merges a typical TV series schedule with a feature film lighting QC process. Why do you think the series stands out among the many preschool shows available today? Our audience loves the characters. They are both aspirational and relatable. I think there’s a monster in the show for everyone in our audience. Our goal is to give our audience personalities they can identify with, laugh at the comedy, and bond over the social-emotional learnings. At the end of the day, the stories are all about modeling good behavior and showcasing our audience how to be good human beings for the littlest members of our audience. What were some of the early reactions from kids? It was really nice to see young kids immediately like the characters without being scared of the monsters. We saw lots of kids choose their favorite monster, and what’s so fun about the timeline of launching during Halloween is we are able to give them Super Monsters costumes and toys to turn screen time into playtime at home! We’ve seen so many families engaging with the property on social media with their kids and that is really inspiring to the team who made it. What are some of your favorite animated preschool shows of all time and why? One of my favorite titles of all time is Backyardigans. I think the show was a game changer in the animation industry, took CG to TV. I’m also a big fan of Octonauts for its unique design and voice cast (an who doesn’t love to sing the creature report song). 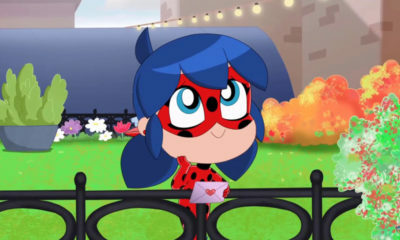 I’m also a huge fan of PJ Masks, the show is set in Paris, its specific and grounded in a real place which I feel we don’t do enough of in preschool. Not to mention that incredible score… if you’re within earshot – you know PJ is on TV. What is your take on the animation scene in 2018? I’m excited with how technology is enabling amazing new animation styles. Because Netflix doesn’t have a house style, we really dig exploring unconventional or striking animation styles to reach a diverse audience. This is an exciting time for artists and voices to tell stories in their own way. What do you hope young viewers will take away from the show? Loads of laughs. And of course I hope we’re planting seeds to help this audience grow up to be good people.